Could the Cheaper Moto X Model Come With Interchangeable Back Plates? Shortly after the unveiling of the Moto X, Motorola’s CEO Dennis Woodside, stated that a cheaper version of the X was in the works. Could this be the first glimpse of said “cheaper” X? 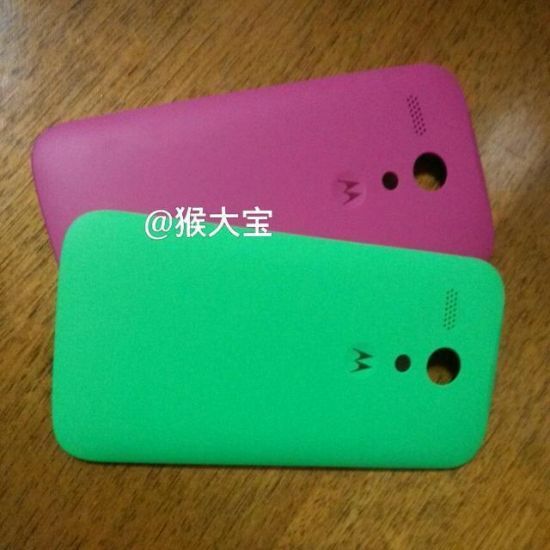 According to its source, the cheaper Moto X will feature interchangeable back plates, exactly like we see pictured here. No need for customizing the phone of your dreams on MotoMaker, when instead, you can just snap on a new back plate. In addition, the source states the device features dual-SIM support, so we could be seeing a single device for multiple markets. Given Moto’s recent history with keeping new devices under wraps (see DROID 5), we think there could be more “cheap” Moto X leaks coming down the road. Contest: We're Giving Away $100 in Google Play Gift Cards!